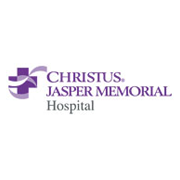 Since 1968, CHRISTUS Jasper Memorial Hospital has provided health care services to the residents of Jasper and the surrounding communities. We offer the latest technology in medical care, providing a broad spectrum of adult, pediatric, geriatric, emergency, medical, surgical and obstetrical care as well as a wide arrange of ambulatory services. These services are offered in a compassionate health care setting. Jasper, Texas is known far and wide as the "Jewel of the Forest". Mild winters, low cost of living, high quality of life, and abundant natural beauty make Jasper a great place to put down roots. Located in deep East Texas amid beautiful majestic pines and two beautiful lakes, Jasper is a caring community. With a population of approximately 8500 people, Jasper is the county seat of Jasper County. Jasper boasts southern charm and a small town atmosphere while offering many modern amenities.